We are continually reminded of the devastating effect of natural disasters when wildfires, earthquakes, blizzards, flooding, tornadoes, and hurricanes wreak their havoc around the country. Along with the terrible toll on human life and personal property, Mother Nature’s power can also have a profound impact on all types of businesses. For your business the threat is two-fold: damage to property and assets as well as the potential loss of proprietary data. Taken together, the threat centers around your company’s ability to protect its data and effectively continue its operations in a timely manner. 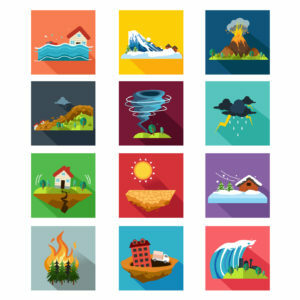 In order to prepare for the potential impact of natural disasters and many other business disrupters, Network Depot recommends that every company have a comprehensive Business Continuity Plan in place. Many companies make the mistake of believing that if their data is simply backed-up, that this will be sufficient in the event of a catastrophic event. However, disaster recovery and its emphasis on back-ups is only one part of the larger business continuity plan. Opinions differ as to what exactly constitutes a disaster recovery issue and what falls into the business continuity area. Most experts consider disaster recovery as a company’s focus on preserving and recovering data in the face of a negative event, while business continuity incorporates this back-up and recovery process as well as all the other important factors that affect a company’s operating status. One important question to consider when implementing and evaluating your back-up systems is: How long will it take to recover your backed-up data? A system that takes days or weeks to recover data is nowhere near as valuable as one that can restore your operations in minutes. It is also important to consider the overall capabilities of backups and if they are able to restore servers, applications and other high-level functions to their previous states. What happens to your software licenses with complete system failures? Your company should carefully monitor warranties and insurance policies to ensure they are protected. Are your secondary systems backed-up? Your business must ensure that important systems such as firewalls, phone systems, voicemail and others are also being backed-up and capable of being quickly put back into operation. What happens if your building or other critical assets are destroyed or severely damaged by a natural or man-made disaster? Your company must develop the capabilities of employees to work remotely and possibly provide alternative locations to work from to minimize the time lost for business operations. Most importantly, your company must plan your business continuity process carefully. You have to consider how best to address all these issues so that your business can protect its data and assets and continue to operate effectively. In short, your company’s business continuity plan should incorporate answers to the possible issues caused by natural disasters, but it also needs to comprehensively address all potential scenarios, such as those listed above, that can disrupt your operations. The goal of business continuity is to have a well thought-out process firmly in place to handle all contingencies. A considerable amount of time, planning, and investment should be invested by your company in formulating comprehensive business continuity plans, which includes disaster recovery. Taking the time to prepare for the worst will benefit your company immensely if you ever experience a natural disaster or any other negative, disruptive scenario. For assistance with your Disaster Recovery and Business Continuity Plans and any other IT-related issues, please contact us here at Network Depot.